“Fantastic, leads by example, travels the world to perfect his craft, one of the best in the country regardless of age, so young and mature” and “just a great kid on and off the track” are some of the words Manhattan High School’s head track and field coach Kory Cool used to describe one of his javelin throwers: Sam Hankins. Hankins, a junior at MHS, is not only part of the track and field team — he is the number one high school javelin thrower in the entire country, and he has competed all over the world to make his mark. 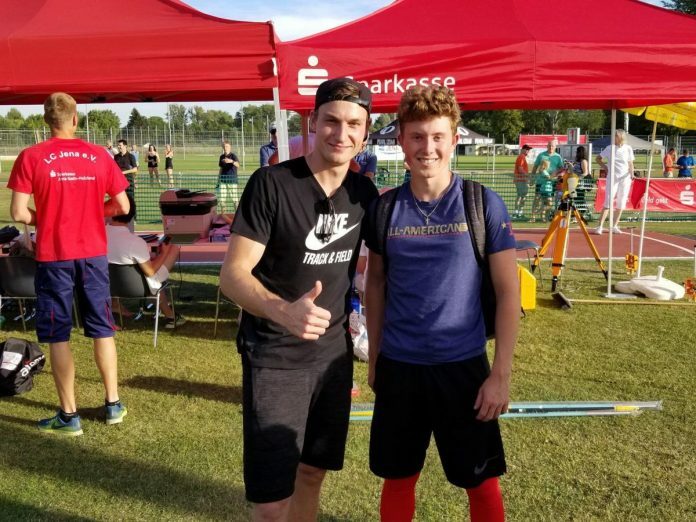 In 2018, Hankins traveled to Germany, where he competed among the best under-18 javelin throwers in the world and was able to win gold with a personal best throw of over 231 feet. Before Hankins traveled to Germany, he was also competing in the Bahamas, where he not only won the competition, but out-threw his competition by a factor of 50 feet. 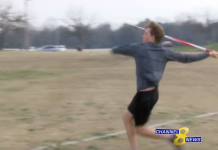 Javelin throwing is a unique event, and Hankins said he realized that after joining a local track and field club in his youth. Running was not an event he enjoyed, he said, so he wanted to stick to javelin. Luckily for Hankins, javelin seemed like the perfect fit for him; he began quickly racking up accolades, starting with his first national track and field meet when he was only 11 years old. Hankins credits his success not only to hard work, but also to support from his teammates. Another MHS javelin thrower, junior Grant Terril, also credits teamwork in the achievements they have worked for together. “We always have so much fun together, regardless of how we throw,” Terril said. With the support Hankins receives from teammates, coaches and family, he said he sets lofty goals for both himself and his team. Although these goals are what Hankins is focusing on for now, it is by no means what his long term goals are. Hankins said he is focusing on becoming a Division I student athlete in college, and maybe even an Olympian for the U.S.
“He wants to take it as far as he can, which will be the Olympics someday,” Cool said.